The agreement gave each of the three sides at the Capitol — Scott, the House and the Senate — something that could be called a victory. Scott got essentially all of what he called for during the session: $215 million in additional spending on public education, $161 million for economic development and tourism marketing and $50 million for repairs to the Herbert Hoover Dike around Lake Okeechobee. Those moves reversed a series of stinging rebukes to Scott during this year’s regular session, which ended in May with the governor getting little of what he requested. 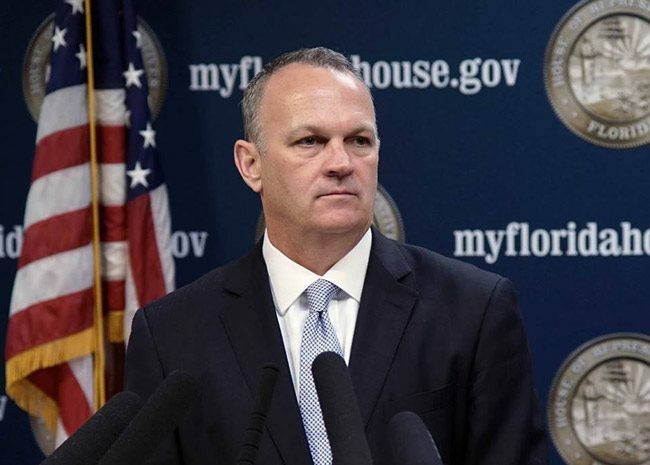 “I’m excited to travel the state and brag about what got accomplished in the special session,” Scott said at a joint press conference after the three-day special session ended. At the same time, legislation approving Scott’s priorities hewed closely to the House terms, including an insistence that education property-tax bills not rise with property values. In the deal, the Senate received $60 million for higher-education projects that Scott vetoed in the Legislature’s original budget. The governor said Friday night that he would approve the projects this time. Lawmakers also approved legislation setting the framework for the state’s growing medical-marijuana industry after a voter-approved constitutional amendment broadly legalized the product. Scott said he would “absolutely” sign the bill. The deal emerged after a 30-minute harangue late Thursday from Senate President Joe Negron, R-Stuart, who told reporters that the Senate would need more concessions from Scott and the House for the session to end successfully. That led many observers to predict that lawmakers might miss the Friday evening deadline to end the session, much as they needed overtime to finish the state budget in May following a similarly chaotic process. Negron played down suggestions that his rant, somewhat out of character for the buttoned-down Senate president, provided a jolt to the negotiations. “I think what happened is that we made a decision that there was a way for everyone to win, and most importantly for the people of Florida to win,” he said. Scott also brushed off suggestions that the path to a deal included an agreement to sign a higher-education measure (SB 374) favored by Negron, or a controversial and wide-ranging public education bill (HB 7069) that is a priority of the House. Those bills passed during the regular session. The governor said Friday he was still considering whether to sign or veto the proposals. The House still has not sent HB 7069 to Scott for his signature or veto. But the measure, which deals with everything from charter schools to teacher bonuses, played a major role in the education debates throughout the special session. Senate Democrats on Friday called on Scott to veto the bill, saying it would help charter schools at the expense of traditional public schools. Critics also said the bill would offset benefits of the extra funding approved during the special session. The extra funding amounts to a $100 per-student increase in the budget year that begins July 1.